These are made for Nita’s Order. Finally I concocted best vanilla cupcakes ever .. tried and tested for several order, got the best compliments among those I baked since beginning, this is it .. winning recipe, yaaaaayyyy ! 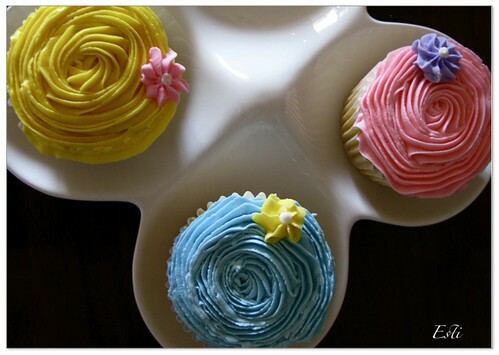 Also, swirl are just so much fun on cupcakes, these swirls come from 3 different size tips, aren’t they pretty ? This entry was posted in buttercream, cameraholic, Cupcakes, favorite, pin - up, royal icing and tagged swirl, vanilla. Bookmark the permalink.